The next best thing since sliced bread, sandwiches are a British tradition and an iconic culinary invention. Ever since John Montagu, the 4th Earl of Sandwich ordered cold beef between slices of toast, to avoid getting up from his card game, his name has become synonymous with the delectable dish. From cheesy goodness, to meat lover’s dreams and veggie delights, there’s so much choice when it comes to great sandwiches. Taking place from Sunday 20th May to Saturday 26th May, enjoy British Sandwich Week 2018 by sampling some of the city’s very best butties. 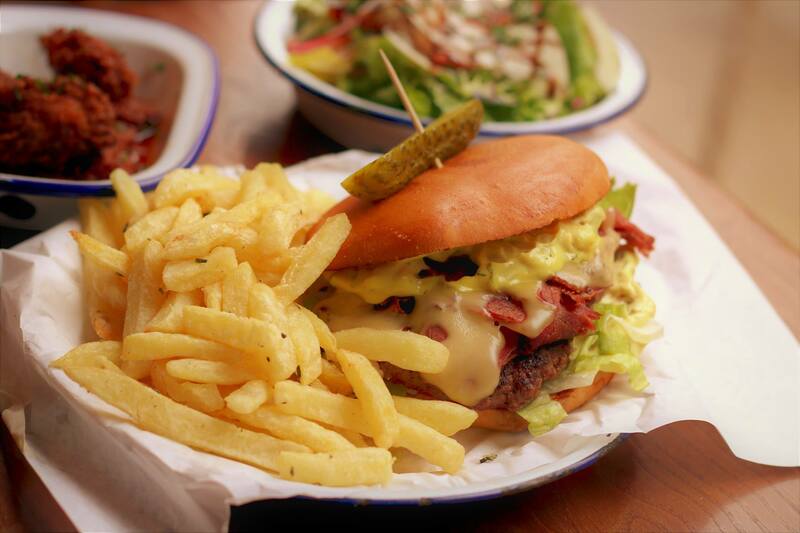 British Sandwich Week wouldn’t be complete without a trip to Free State Kitchen. Serving a contemporary twist on American classics, this modern diner offers one of the most delicious Reuben sandwiches in the city. 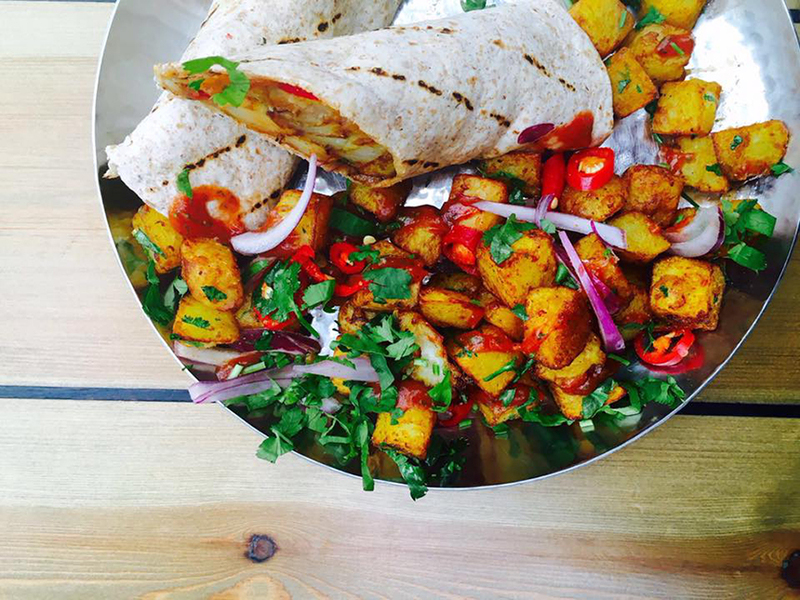 One of the most vibrant and creative takes on the traditional sandwich, Mowgli’s chip butty is one of our all time favourite sarnies. A zingy combination of turmeric, coriander and tomato relish, it’s a winning recipe in our book. Next up is another American favourite that serves up a huge helping of sandwich options for both meat lovers and veggies. Expect large portions, lots of cheese and flavour combinations that are to die for. 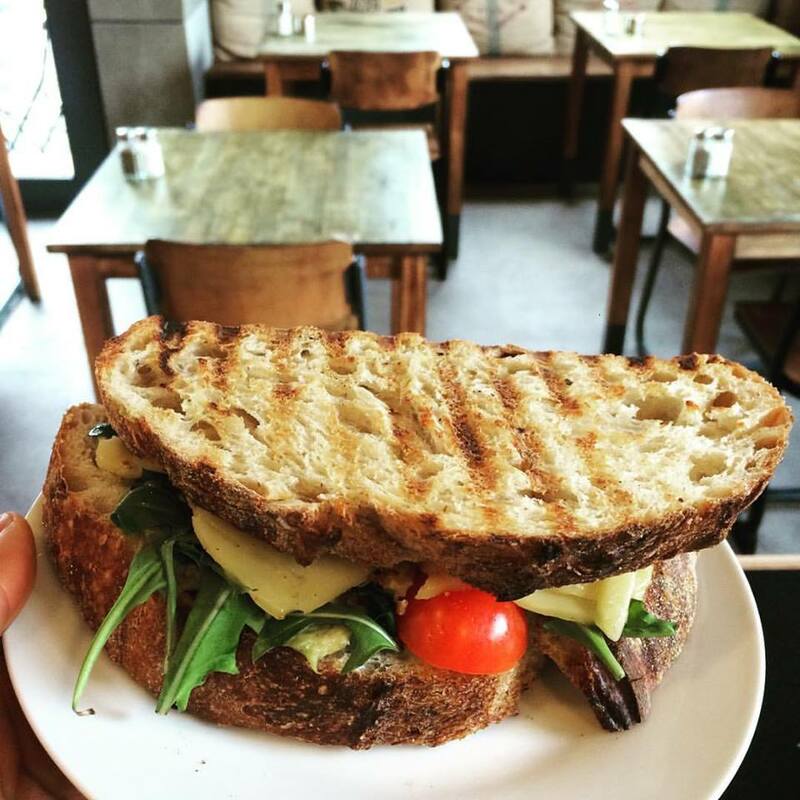 The Baltic Bakehouse specialise in all things bread, so it’s no wonder their sandwiches are some of the tastiest in the city. 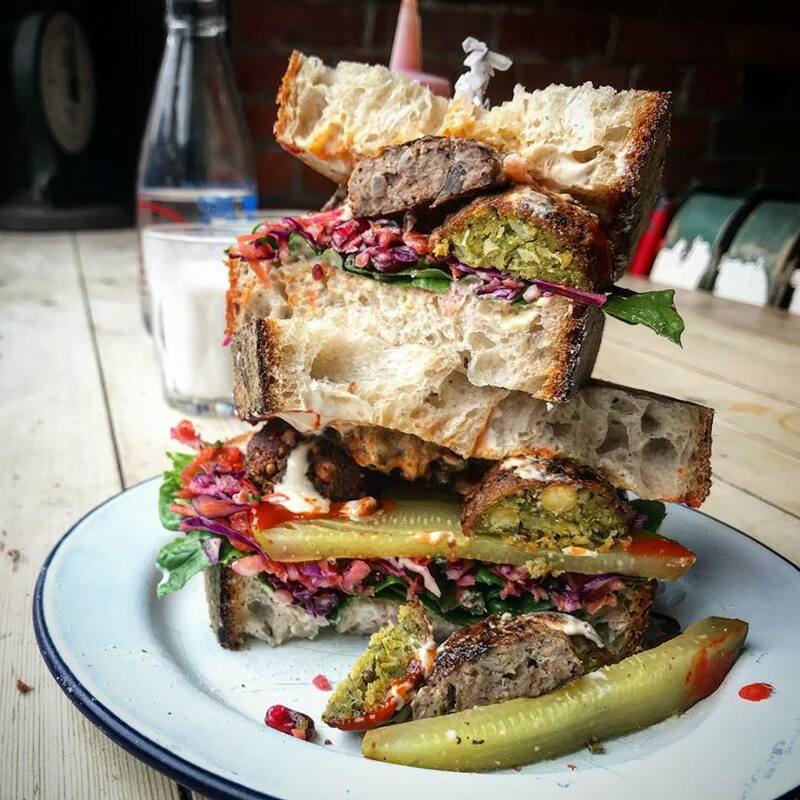 From freshly baked sourdough, to delicious rye and a wholemeal loaf or two, this cafe serves up a range of unique sandwiches encased in the best bread you’ve ever had. 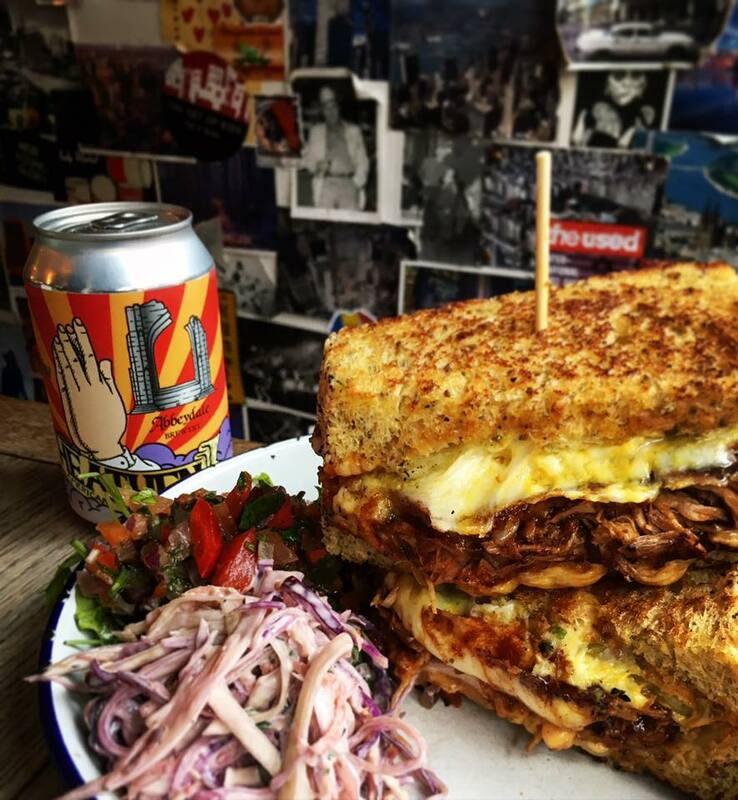 If you don’t have one of Filter + Fox’s famous grilled cheese sandwiches during British Sandwich Week then are you even a real sarnie lover? As well as the grilled cheese, this popular bar, cafe and restaurant features a wide range of yummy deli sandwiches that are sure to take everyone’s fancy. If you’re looking for a sandwich that packs a punch to celebrate British Sandwich Week, look no further than Leaf’s mouthwatering harissa Moroccan chicken buttie. Nestled on busy Bold Street, Leaf is the ideal place to enjoy a tasty sandwich with friends. 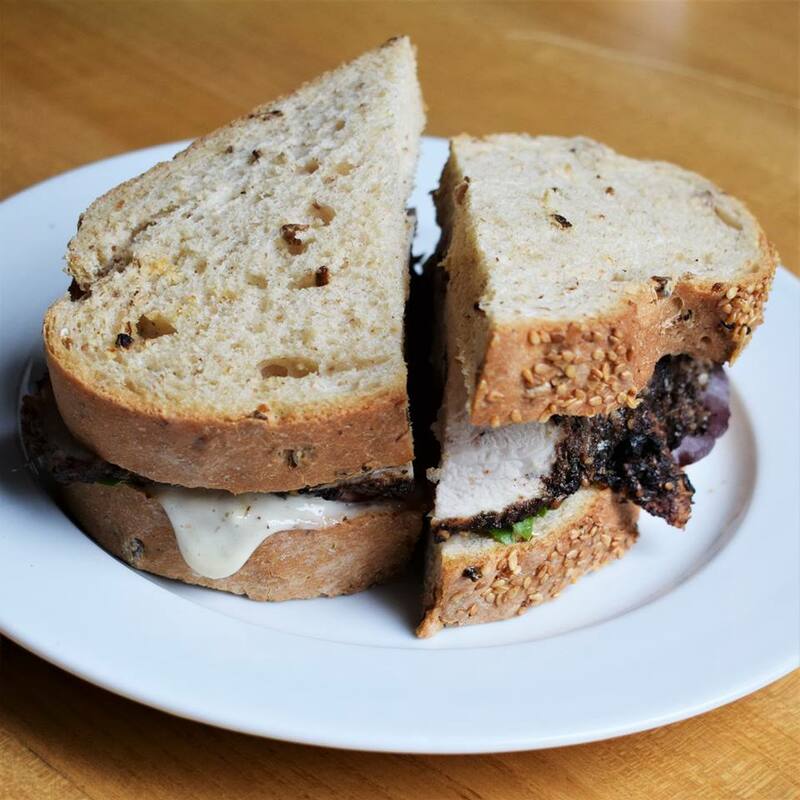 Maybe not your traditional sandwich, but The Bagelry’s delicious menu is close enough for us. 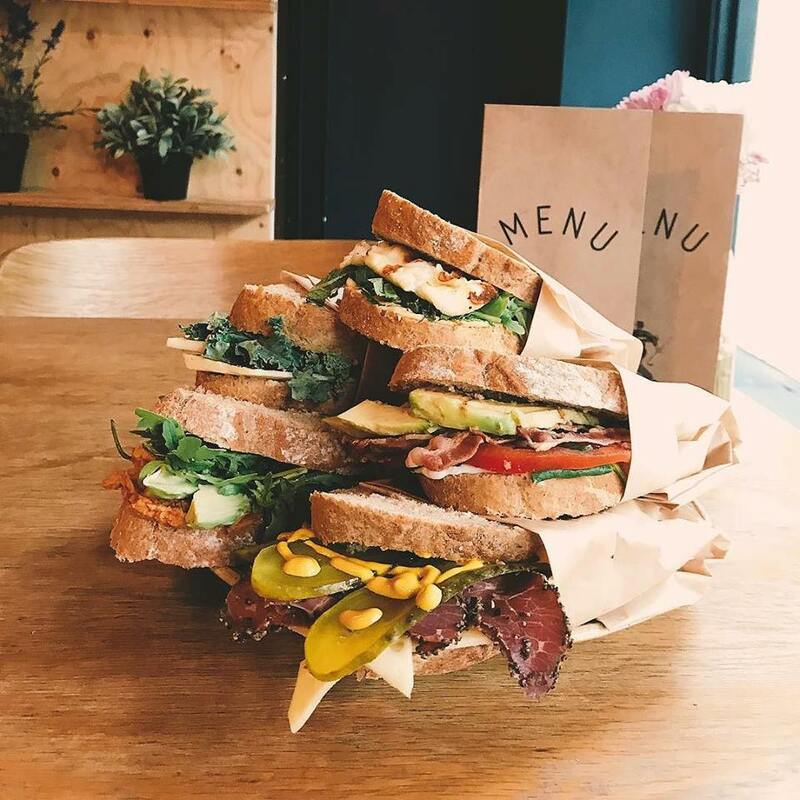 Offering everything from breakfast butties, to traditional bagel fillings and our favourite vegan delights, this cosy cafe is the perfect destination to enjoy a sandwich with a twist. 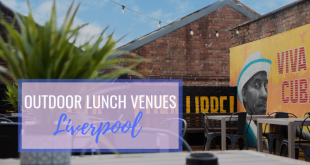 One of Liverpool’s most popular independent coffee shops, Rococo is nestled in the centre of town and offers diners a huge selection of fresh sandwiches. From traditional Ploughman’s to skyscraper Club sandwiches and yummy paninis, it’s a sarnie lovers dream. 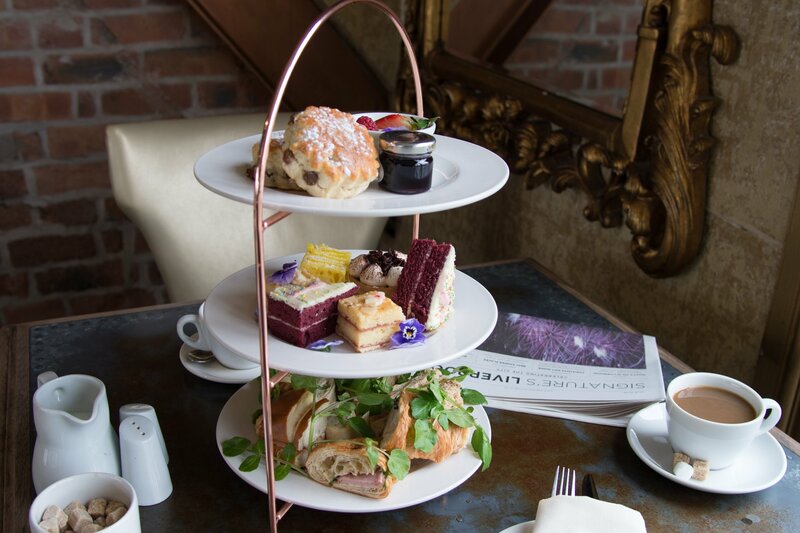 If you’re looking for a sophisticated alternative to the classic sandwich, why not visit Carpathia and sample one of their amazing afternoon teas. Featuring a scrumptious selection of flavours from ham and mustard, to smoked salmon, afternoon tea is the perfect way to sample a lovely selection of delicate finger sandwiches. It’s hard to pick just one of Cow and Co’s delicious sandwich choices. 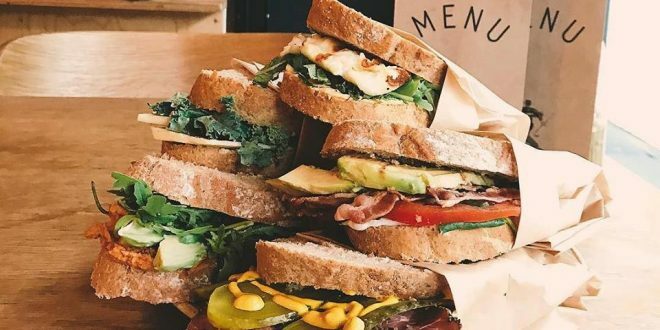 They offer everything from smashed avocado with chilli flakes, lemon and Himalayan pink salt, to halloumi, fresh mint, harissa mayonnaise and rocket, plus the mouthwatering bacon, avocado, tomato, spinach and aioli. 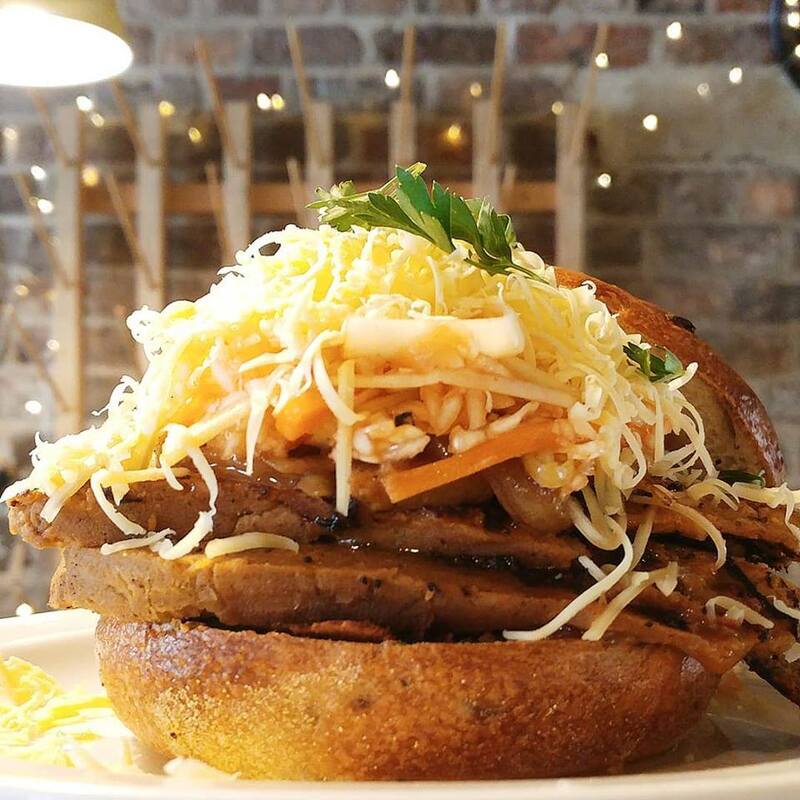 Located in the picturesque Cleveland Square on the edge of town, Cow and Co is one of our favourite places to enjoy a tasty sandwich in Liverpool. Celebrate British Sandwich Week the good old fashioned way at The Club House, on the rooftop of Liverpool One. 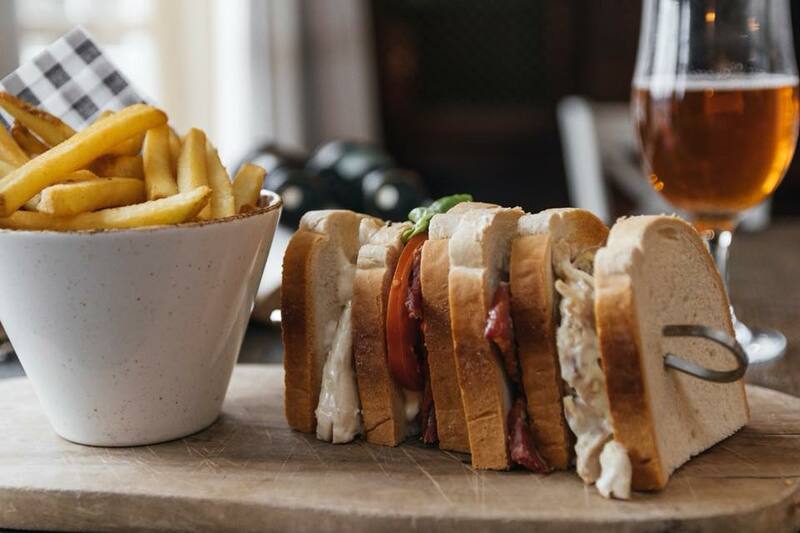 Offering foodies a delightful range of grilled club sandwiches from chicken mayonnaise to the Cuban club and coronation chicken, the Club House is perfect for those that want to stick to tradition. 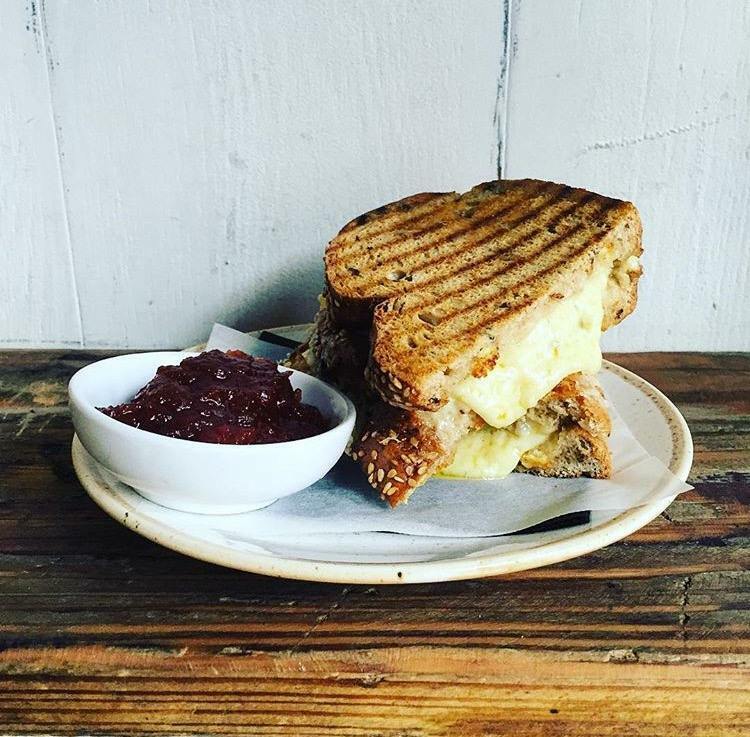 Last but not least on our list of the very best sandwiches in Liverpool and where to eat them is Coffee and Fandisha. 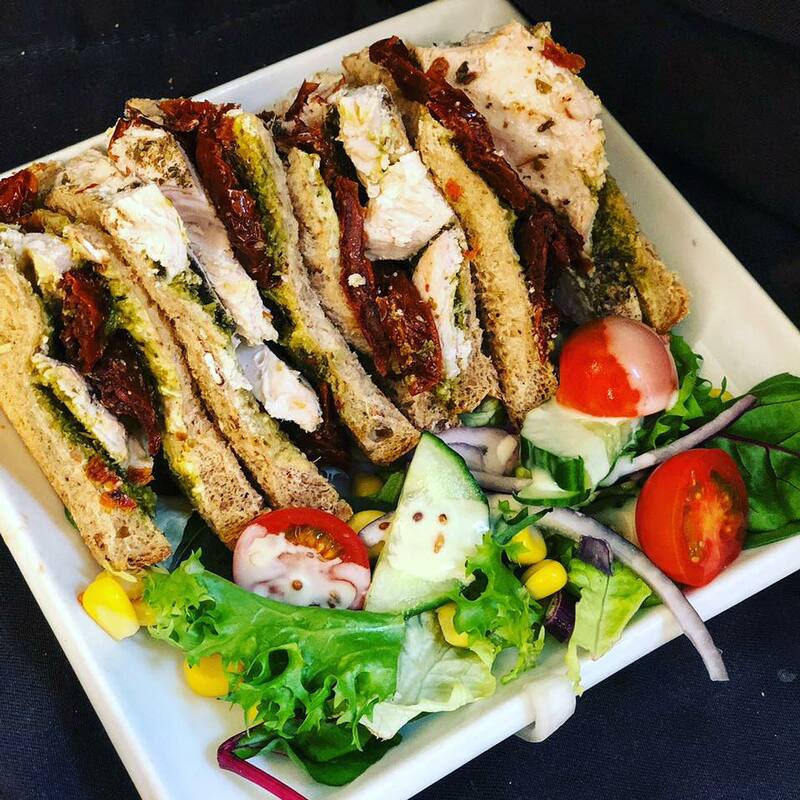 Situated in the trendy Baltic Triangle area, this quirky coffee shop serves up a host of healthy sandwich options, that all feature a quirky ingredient or two. From vegetarian options, to deli meat style sandwiches and healthy vegan butties, there’s something for everyone. We hope you’ve enjoyed our guide to the best butties to try during British Sandwich Week 2018, if you think we’ve missed any off the list, let us know in the comments! Once you’ve eaten your fill of some of these delicious sandwiches, you might want to walk off all those carbs! Check out our brilliant blog on some fabulous walks and trails around Liverpool.